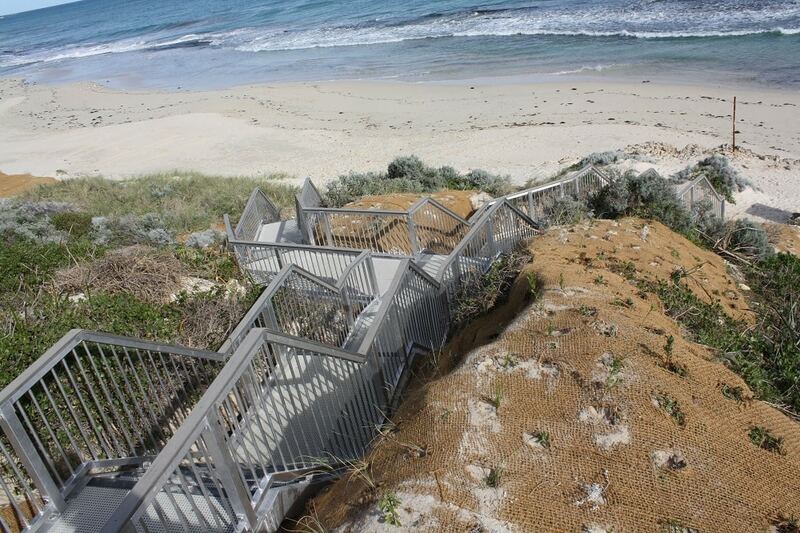 Visitors to the popular swimming spot of Fisherman’s Hollow in Yanchep can now access the beach in style and safety, thanks to the new aluminium staircase supplied and installed by Landmark Products. The staircases straddle the sand dune, branching into two access points on the beach from the single entry way at the top entrance. The design fits around existing vegetation creating an appealing blend of practicality and low impact design. 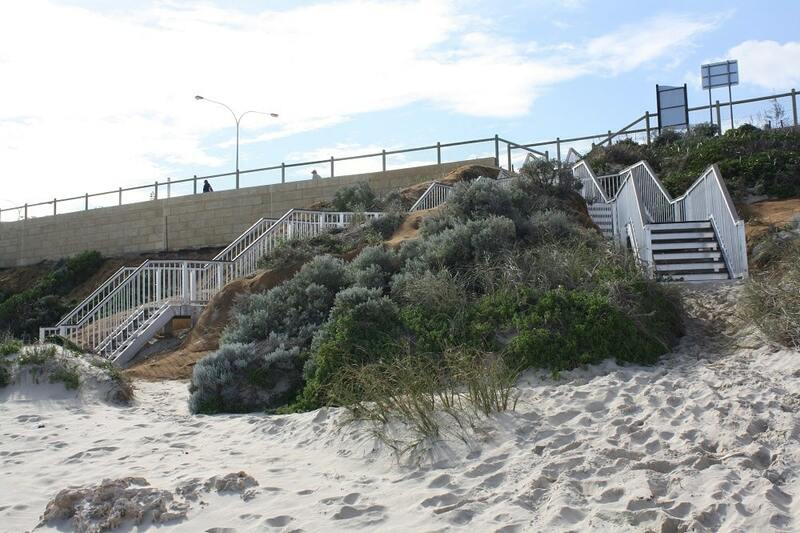 The Fisherman’s Hollow beach access is secured to the dune by diamond pier footings, an ideal solution for structures secured in sand, combining strength with flexibility. 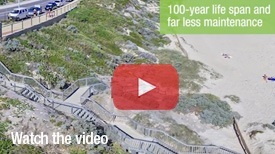 The staircase uses FRP (Fibre Reinforced Plastic) decking throughout, its mesh allowing sand to pass through, and is also highly slip and rot resistant. 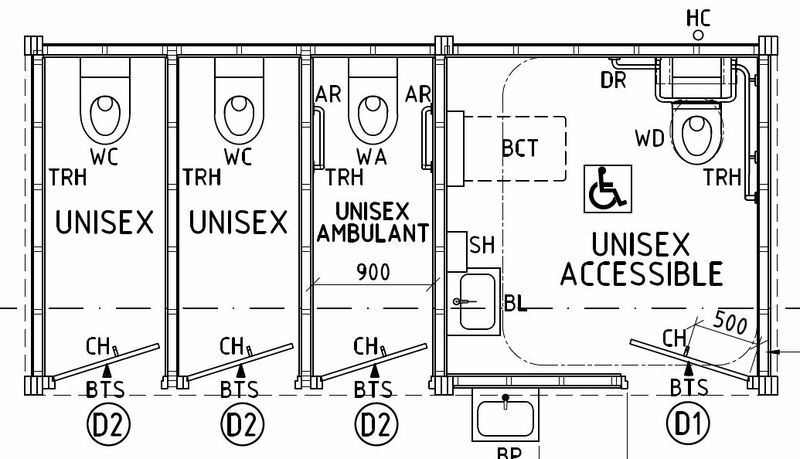 Landmark designed, manufactured and installed the staircase for the City of Wanneroo Council, which also recently upgraded the nearby toilet block. 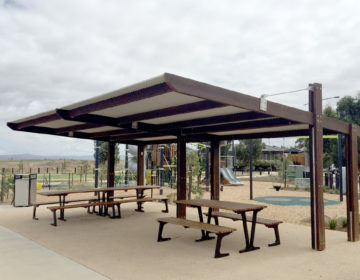 Landmark also demolished and removed the previous structure, which was susceptible to sand build up and overgrowth of vegetation. 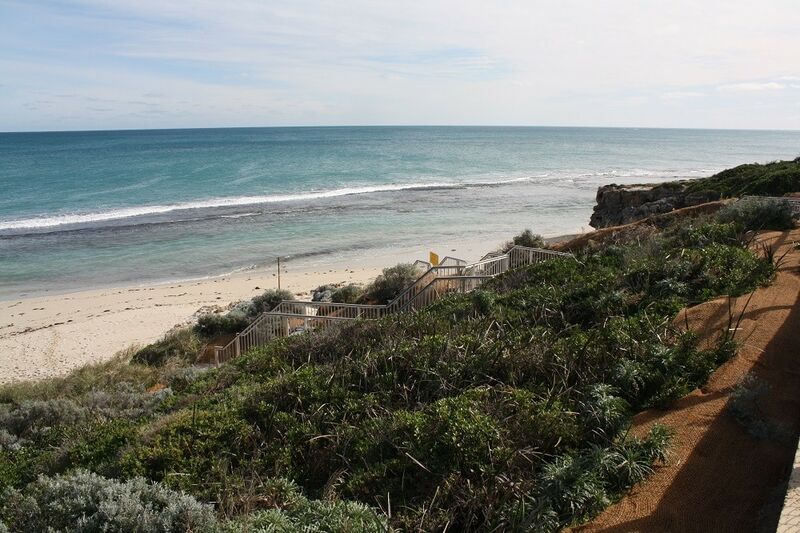 Fisherman’s Hollow, a popular enclosed swimming spot bordered by the beach and a 600 m beach-rock reef just off shore, will ensure the staircase is well used. 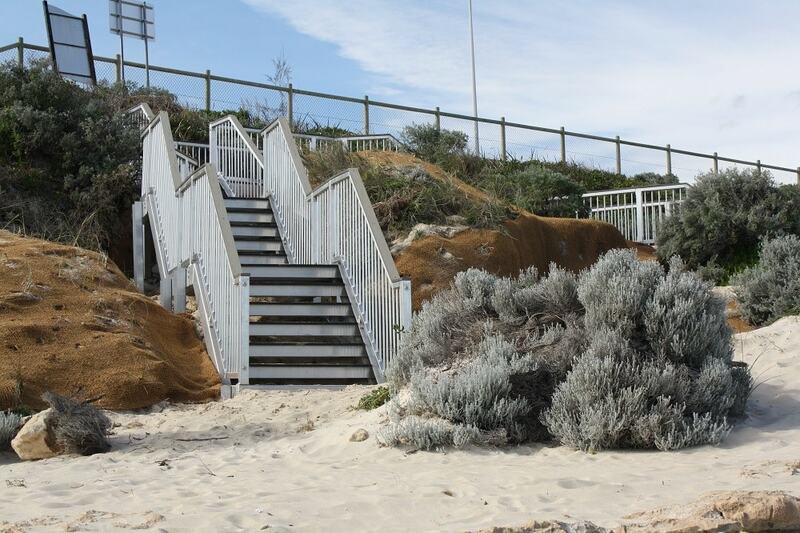 Resilient, strong, flexible and rust resistant, its no wonder that more and more aluminium beach access ramps and staircases continue to be installed around the nation, often replacing aging timber structures.